UFOs - - They're everywhere! But we have a solution! New inspiration in store to inspire your next big finish. BREAKING NEWS: The UFO (Un-Finished Object) sightings continue in and around Utah County. Corn Wagon Quilt Co’s past UFO Retreats have been such a success we have resolved to take further action. Lead investigator, Chris Chamberlain, is quoted as saying, “The mysteries surrounding these UFOs continue to unfold. We must be diligent in our efforts toward a piece-ful resolution.” Eye-witness, Jen Tanner, agrees, “While progress has been made, we can do sew much more!” Further action will include a TWO-DAY UFO RETREAT for those affected by the UFO sightings. Energy will be devoted entirely to addressing the UFOs (and eating goodies). Those joining will be surrounded by others who have been through similar UFO experiences. Attendees are asked to bring any UFO evidence that might assist in getting to the bottom of what has clearly become a problem. While overnight accommodations will not be provided, the UFO Retreat fee will include lunch both Friday and Saturday, games, prizes, aforementioned goodies and lots of fun. A break for dinner will be allowed Friday evening after which UFO action will resume late into the night. 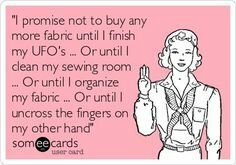 As UFOs have become a growing concern amongst our quilter's community and space is limited, we recommend reserving your seat early! New yardage as far as the eye can see! 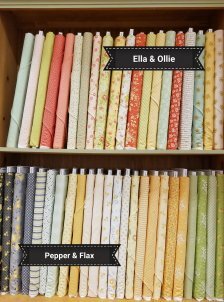 Our shop is so full of beautiful new spring collections, it was hard to choose which to share with you here. 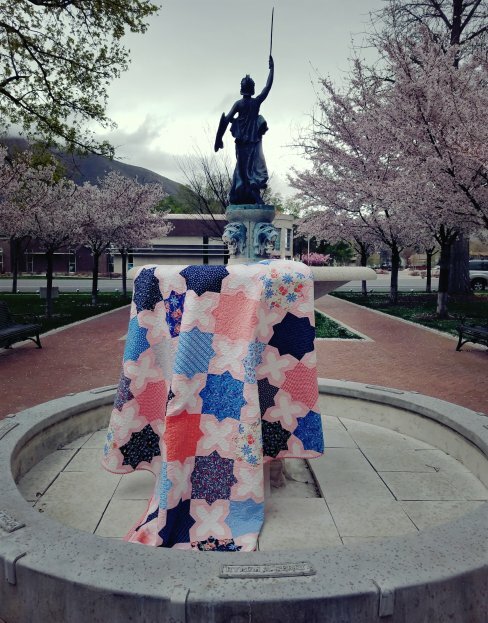 Amailfi by Rifle Paper Co.
April 16th - 25% off NOTIONS & BATTING! This sale includes all regular price notions & batting by the yard!